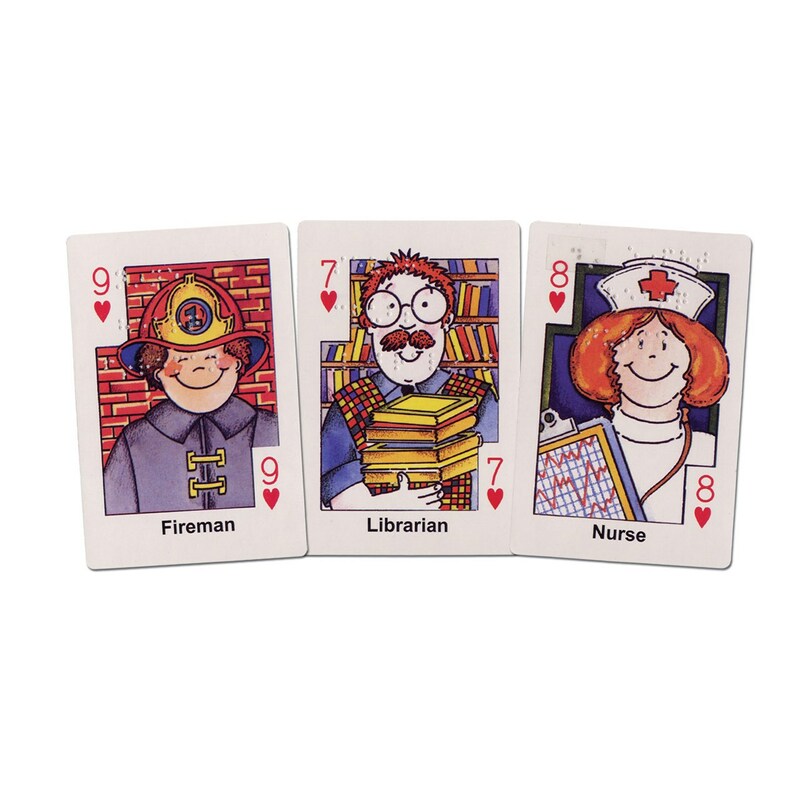 This version of the favorite Hearts card game features bright, colorful illustrations of community and neighborhood helpers and their occupations in print. 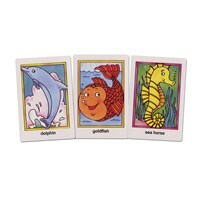 Plus, with Braille markings identifying the people on each card, it's accessible to blind and visually impaired players of all ages, so the whole family can enjoy playing. 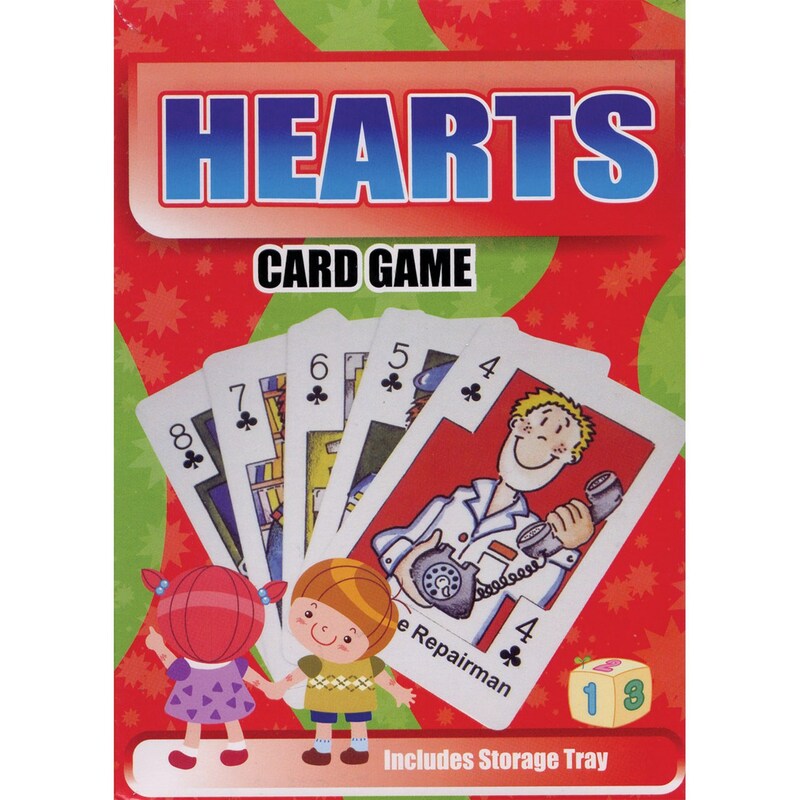 You can use these cards to play the classic Hearts card game (instructions included), or you can use them as educational flash cards for blind children. 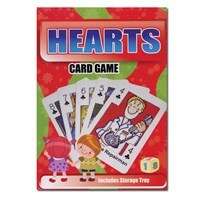 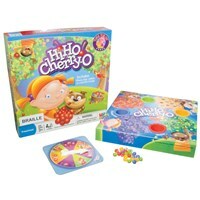 Includes 32 playing cards plus 1 set of instruction cards. 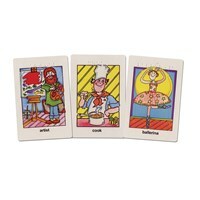 Oversized full-color cards measure 4.75 x 3.25 inches. 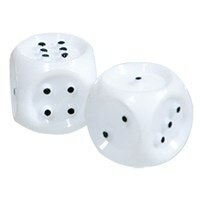 For multiple players, preschool and up. 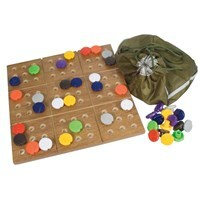 Cardboard storage tray included.